Honestly, I have checked in here and there with DC Comics over the past five years. There has not been much attractive about their books since they rebooted into the new 52, and I find most of their books too dreary and depressing to take much stock in, because they seem to have equated gratuitous violence with maturity. 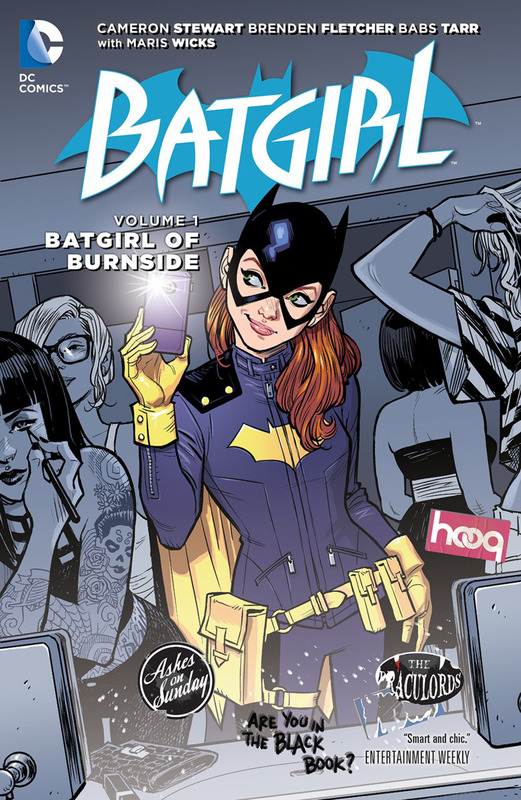 But I have heard a lot of good things about this Batgirl book, so I decided to give it a try. Overall, I found a lot to like about this book. It was fun, colorful, and it features some good character work as well suspenseful plots. I would not say it's the best superhero comics I have ever read, but it is certainly well crafted and enjoyable. And I did like that it was a very contemporary book. I do not know if it will age well, but in this moment this book is one of DC's top 3 publications (which is faint praise, at least coming from me, sorry). I would recommend it without hesitation to anyone who wants to read accomplished and entertaining superhero comics. 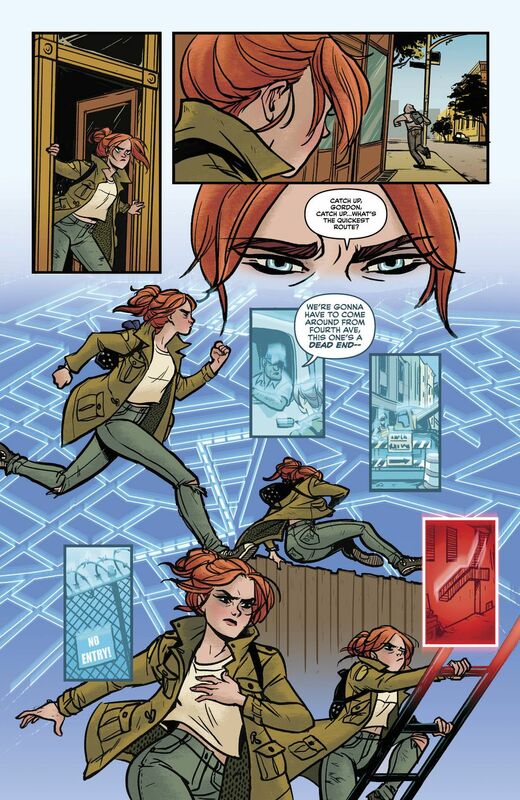 The creators behind this book are Cameron Stewart (plot and breakdowns), Brenden Fletcher (plot), Babs Tarr (finished art), and Maris Wicks (colors). 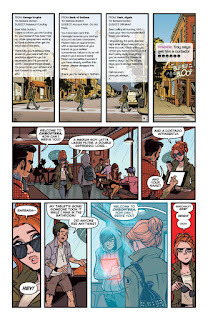 Stewart is an Eisner and Shuster Award winning artist/writer who has worked on a number of different comic book series as well as his webcomic Sin Titulo. Fletcher is a veteran comic book writer, and Tarr is an illustrator who is relatively new to comics. 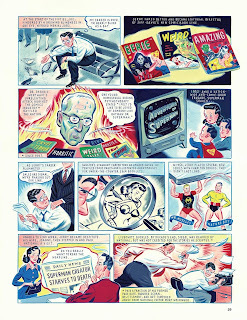 Wicks has written and drawn a number of science themed graphic novels. 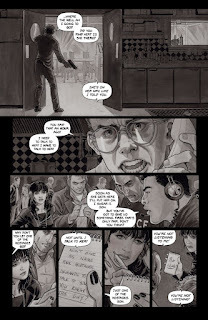 These collaborators speak about their work on this series in this interview. The reviews I have read about this book cover the full spectrum from praise to dislike. 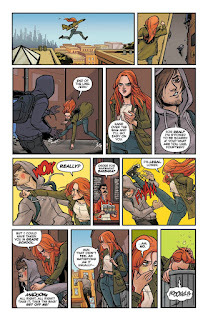 Matt Santori-Griffith wrote that this book "takes the mythos of Barbara Gordon and expands it even further, giving rise to a new chapter in her history," showing that that Batgirl stands alongside Superman, Batman, and Wonder Woman as one of DC’s premier heroes." 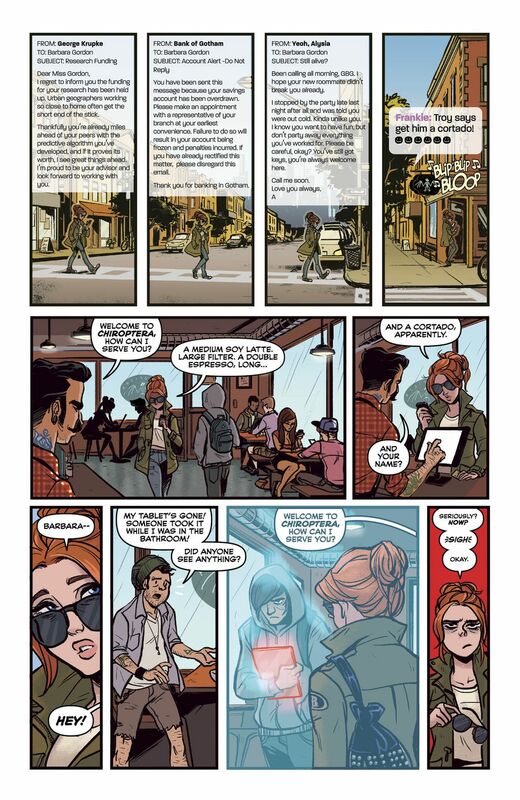 Etelka Lehoczky called it "pretty good" on the whole, especially the artwork and the story's take on digital identities. 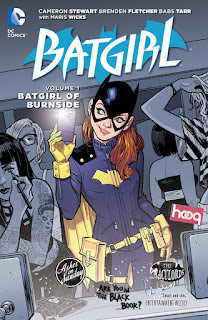 Dustin Cabeal wrote that he found this book too trendy and wrote, "This Batgirl is written and created based on public opinion and that’s terrible because public opinion shifts all the time"
Batgirl of Burnside was published by DC Comics and they have more info about the series here. 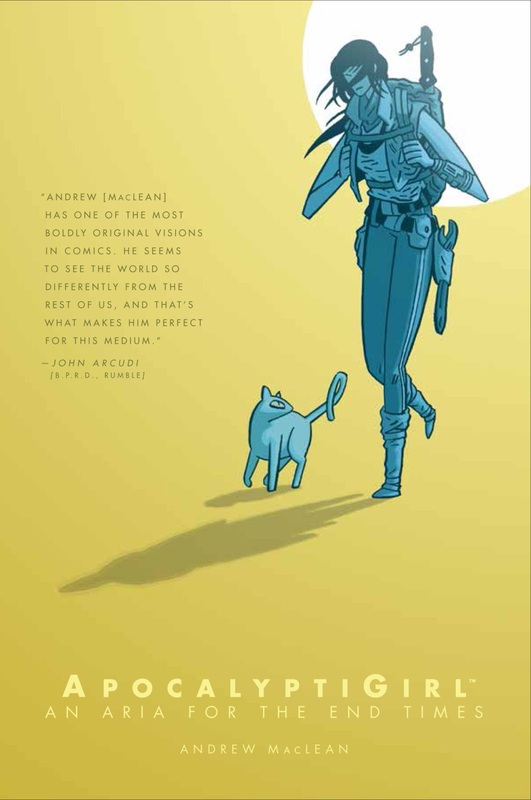 ApocalyptiGirl has pretty much everything I want in a sci-fi adventure: an interesting and compelling protagonist who is intelligent and resourceful, mech-suits, wasteland mutants, and a friendly/feral cat sidekick to round things out. The tale itself is one that seems familiar, a survivor (named Aria, and she sings opera to keep sane, just so you know) stranded on a devastated and hostile planet, trying to find a way home, but how it is executed here makes this book special. Reading this book is like riding your favorite roller coaster: There are lots of twists and turns, plotwise, and even though some of them are pretty familiar, the story is still quite enjoyable. As you can see from the excerpt, the narrative quickly transitions from mundane moments to ones of great suspense and intrigue. The action sequences are tautly choreographed and build much tension. The artwork is dynamic, fun, and full of surprises. And although the story is familiar, it is well told and expertly crafted. I think it would be a big hit with adolescent readers especially. 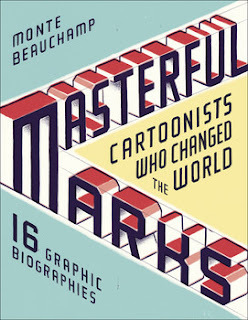 This book is the creation of Andrew MacLean. 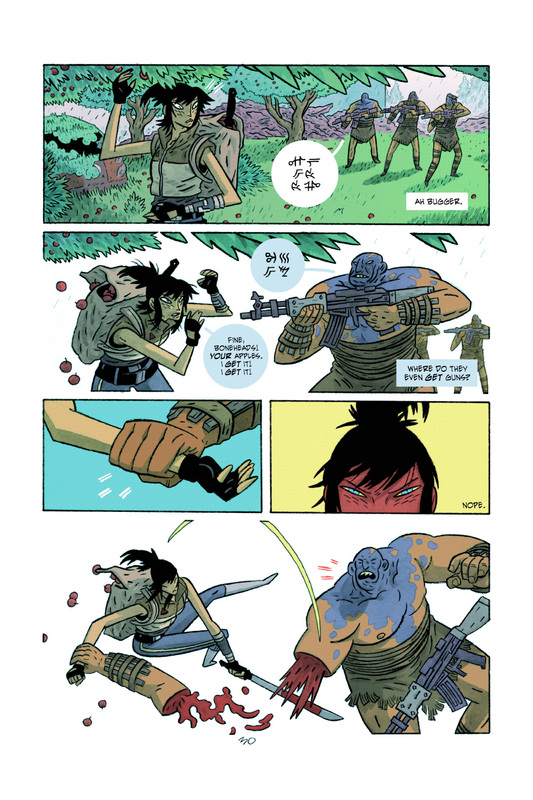 I knew him from his work on the indie book Head Lopper, a barbarian story of course, and I know that he has been published in a number of comics anthologies. 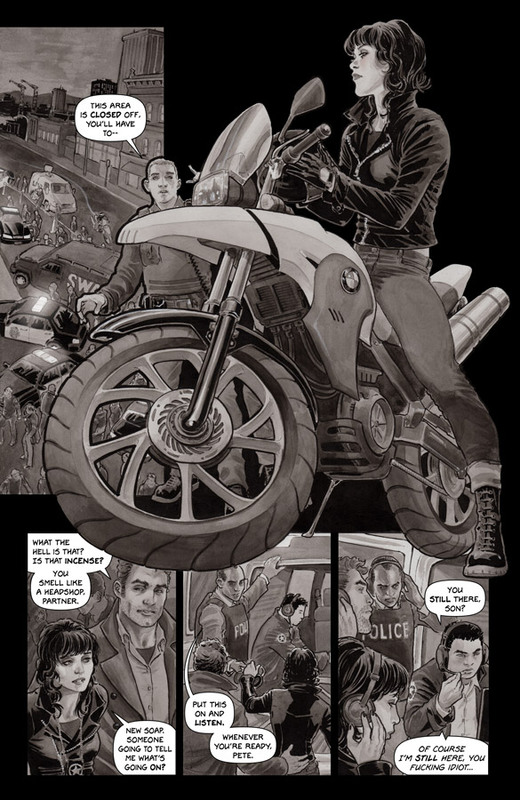 This is his debut graphic novel, and it is a sensational one. I found it instantly engrossing, well paced, and beautifully rendered, and I am looking forward to seeing his future projects. All of the reviews I have read about this book are good, and many are glowing. Daniel Coleman wrote, "It’s a simple enough story that younger readers will be able to understand it, while still having enough nuance that older readers will get a little more from it." Chris Sims gushed, "I already knew going into this book that MacLean was great, but every page of Apocalyptigirl confirms that in a fantastic new way." Sam Roche echoed, "Every work he produces is brilliant and this spectacular graphic novel may be the best yet." ApocalyptiGirl was published by Dark Horse, and they have a preview and more about this book here. 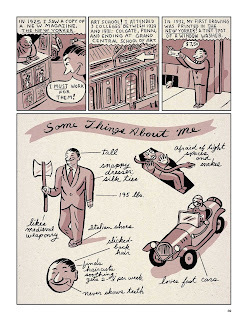 What was also excellent for me, an old fogey who knows a lot about comics and their creators, is that there are also some entries about folks I had never heard of, like Lynd Kendall Ward (who created the first graphic novels) and Rodolphe Töpffer (who created the first comic strips). 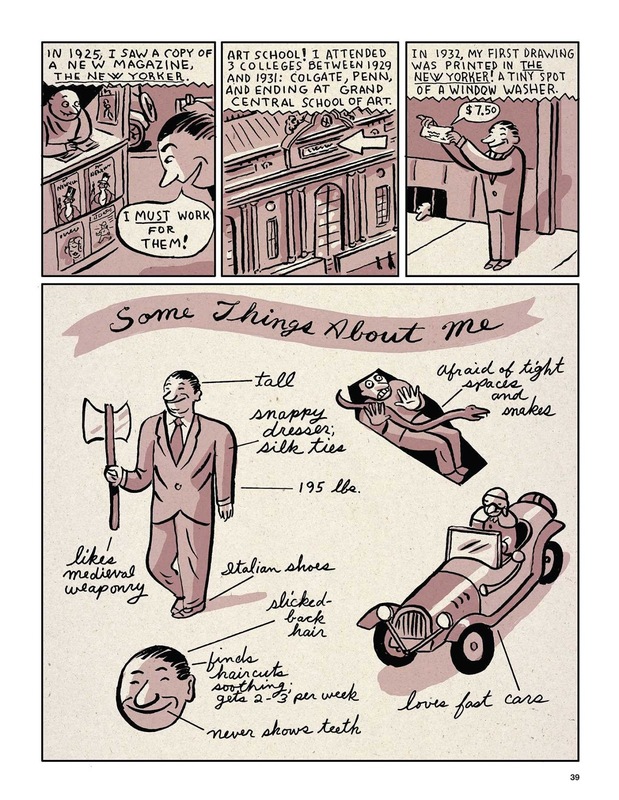 The only real clunker in this book for me was the entry on Walt Disney, because it basically amounted to a few pages of an adult talking to a child with little action or creative use of comics to convey a narrative. 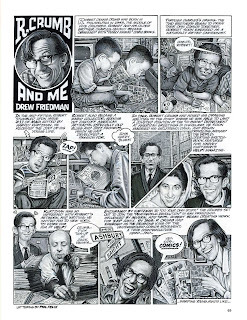 It was like reading an encyclopedia entry, only in word balloons. Happily, all of the other entries in this book were much better, most being remarkably excellent. Common in the critiques of I have read of this book is that it is not very diverse. There are no woman represented as subjects in the book, and Osamu Tezuka is the only creator represented from a non-European background, but I still think that there is much here among the biographies to inform, delight, and surprise those unfamiliar with many of these figures. I also think that such an absence also acts on a commentary about the history of comics, when many minority groups were not given entrée. Monte Beauchamp edited this book and also authored four of its entries. He is a graphic designer, illustrator, author, and editor who has won multiple honors, including the Richard Gangel Art Director Award. He is best known for his long running anthology of comics and art Blab!, but he also has written a number of books about popular culture, including ones about Krampus and vintage matchbook cover art. Beauchamp speaks more about his work and choices in writing/editing this book in this interview. All of the reviews I have read about this book praise and describe a collection of mostly strong stories. Don Simpson called it "a slick and attractive compendium of drawing board history told in a diversity of current styles." J. Caleb Mozzocco commented positively on the "Murderers’ Row of great contributors and collaborators" who worked on this book. Kirkus Reviews summed up, "There’s always a hit-or-miss quality to such projects, and some question over the selections, but what’s great here is really terrific." Masterful Marks was published by Simon & Schuster, and they have a preview and more here. A lot of comic book series to day seem like pitches for cable series/movies, and the plot of Black Magick certainly seems like a workable concept for a good number of media narratives. The difference here is that this series is exceptionally well crafted and works as an excellent collection of comic books. It stars Rowan Black, a detective and witch, who works hard to keep her lives separate. That peace is threatened when a man takes hostages and demands only that she come talk to him. I will not spoil what happens, but those events precipitate a whole lot of mystery and intrigue. As you can see from this excerpt, the artwork is phenomenal, the dialogue crisp, and the characters and situations are utterly compelling. The only real critique I have to offer is that this volume ended too quickly, and I was left wanting to be able to pick up and keep reading immediately. Alas, this volume collects the first five issues of the series, and they are all there are so far. I am looking very forward to the continuation of this story. 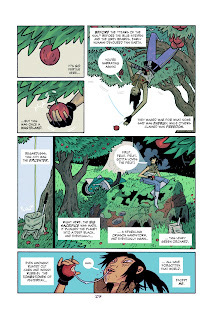 Black Magick is the creation of two established comics professionals. 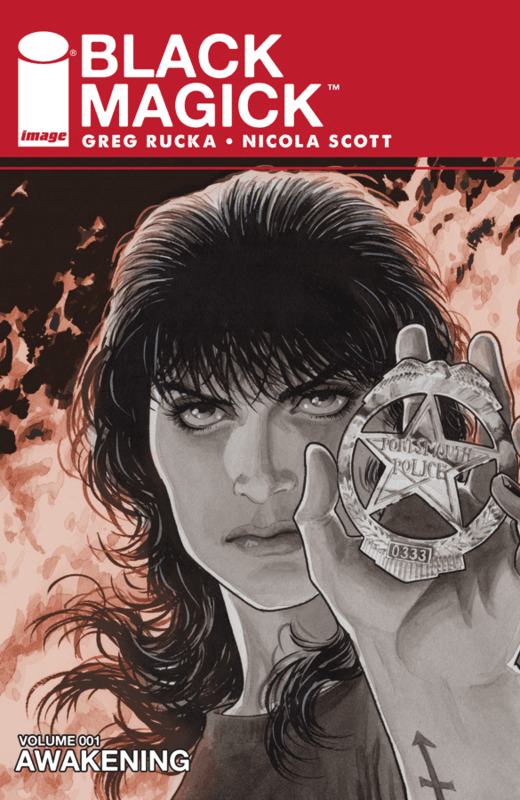 Eisner Award winning writer Greg Rucka has written novels as well as tons of comic books for the big two companies, not to mention his creator-owned series Lazarus, Queen & Country, Stumptown, and Whiteout. Artist Nicola Scott has worked primarily for DC Comics, drawing Secret Six, Wonder Woman, and Earth 2. 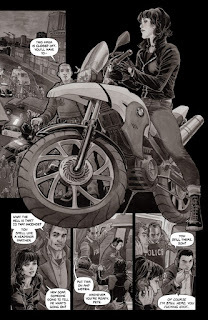 Rucka speaks about his work on the series here, and Scott does the same in this interview. All of the reviews I have read about it heap praise on this book. Doug Zawisza called the series "gorgeous, scary and mysterious." Chris Downs added this praise, "Image have become synonymous with quality in the last decade and Black Magick can stand proudly amongst the very best of their titles." Pharoahmiles wrote that "this creative team soars." 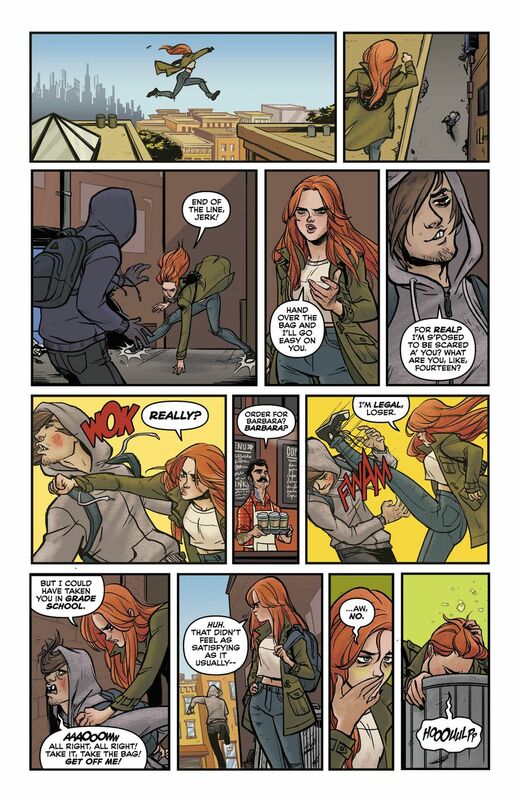 Awakening was published by Image Comics, and they links and much more available here. 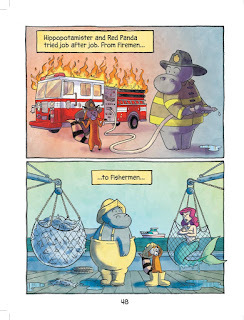 Hippopotamister straddles the line between being a picture book and a graphic novel, and it contains a wonderfully drawn, funny tale with a positive and meaningful message. If you or a young reader you know is looking for a book starring adorable animals who frequently find themselves in silly circumstances, this is it. I found the artwork to be absolutely charming and some scenes really made me chuckle. 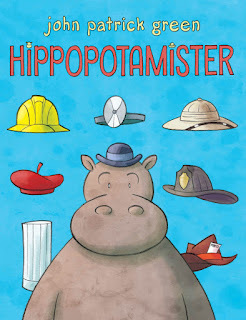 The story revolves around a hippo living in a run-down zoo. His friend and neighbor red panda decides to go and live among the humans and returns with tales of great success. So, the hippo decides to join him out there. However, hippo quickly learns that red panda's tales of success are clearly exaggerated. Hippo, though, turns out to be pretty versatile and skilled. Still, the duo bounces from job to job, with humorous and disastrous results, and over time they learn both what they are good at and what they struggle with. I don't want to spoil the ending, but I will say that finally both find a situation that plays to both of their strengths and they find themselves gainfully employed. 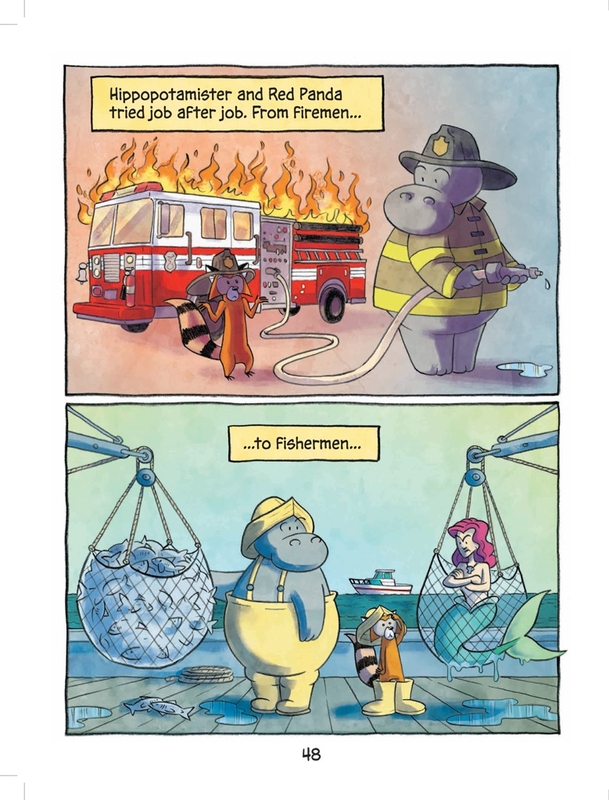 Hippopotamister is John Patrick Green's first graphic novel. He has drawn a number of other books for children as well as the mini-comic Teen Boat! written by Dave Roman (Astronaut Academy). He speaks at good length about his creative process on this book in this interview. All of the reviews I have read about this book have been glowing. Publishers Weekly gave it a starred review and stated that "Green's characters burst with personality, his comedic sense shines, and his visual storytelling skills are solid." Johanna Draper Carlson elaborated, "although the story is aimed at younger readers, this is something I can certainly relate to, from needing to find a new occupation to a past-its-prime business making its “employees” unhappy to the way that Hippopotamister learns something valuable from everything he tries." Kirkus Reviews summed up by calling it "A charming book with a solid message about changing one’s life through hard work, imagination, and openness to new experiences." Hippopotamister was published by First Second. They have a preview and much more available here. Thanks, Gina, for the review copy! 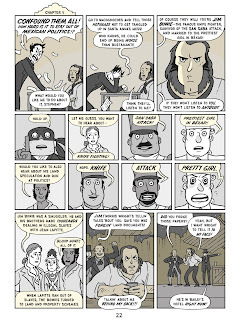 If you have been reading my blog for a while, you will know that I could rename the "Best Nonfiction Graphic Novel for Younger Readers" honor the "Nathan Hale Award," because his books are consistently great and blow me away. 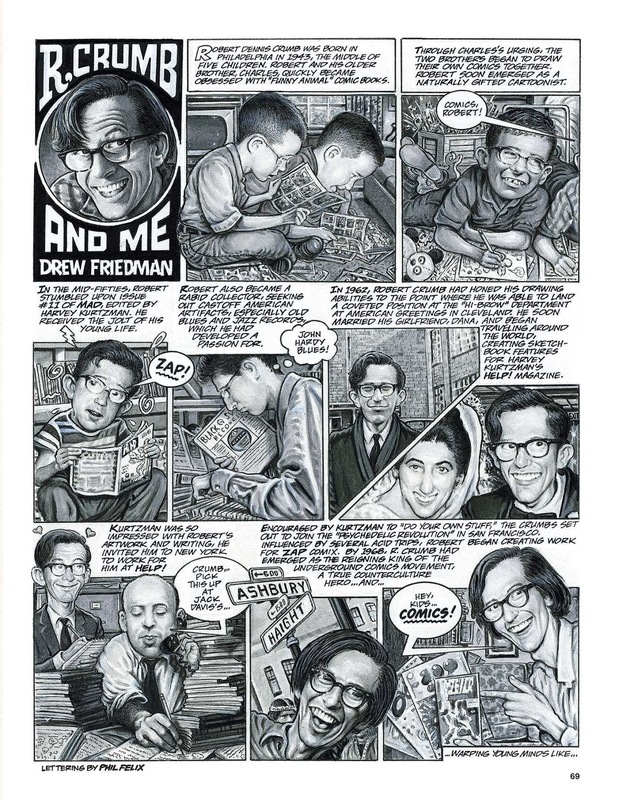 He's the Wayne Gretzky of nonfiction comics, head and shoulders better than everyone else. So, he's got a lot to live up to, and I have to say that he succeeds with his latest, Alamo All Stars. 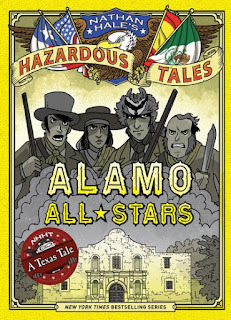 It's name is a sort of misnomer, because so much of it deals with the social and historical context that led up to the battle at the Alamo, but it is a highly informative and engaging book. I read it at an auto shop while waiting to have a tire replaced (which should take less than 3 hours IMHO) and I laughed out loud no less than 3 times. In public. So what I am saying that this book is not only a great read in terms of form and content, it's also genuinely funny. I loved seeing biographical sketches that breathed life into a number of names I am familiar with but know little about. From the cruel, proud Santa Anna to the reactionary, belligerent William Travis to legends Jim Bowie and Davy Crockett to "Once Again" Juan Seguin, I felt I really got to know the major players in a memorable way. What is more, Hale added a wrinkle to the usual book framework, a second narrator, Vicente Guerrero, who gives his insights from the viewpoint as a Mexican. There is so much to love about this book, and it is a worthy addition to the Hazardous Tales series. If you are new to it, you can check out my reviews of past volumes here, here, here, here, and here. All of the reviews I have read about this book have been celebratory. 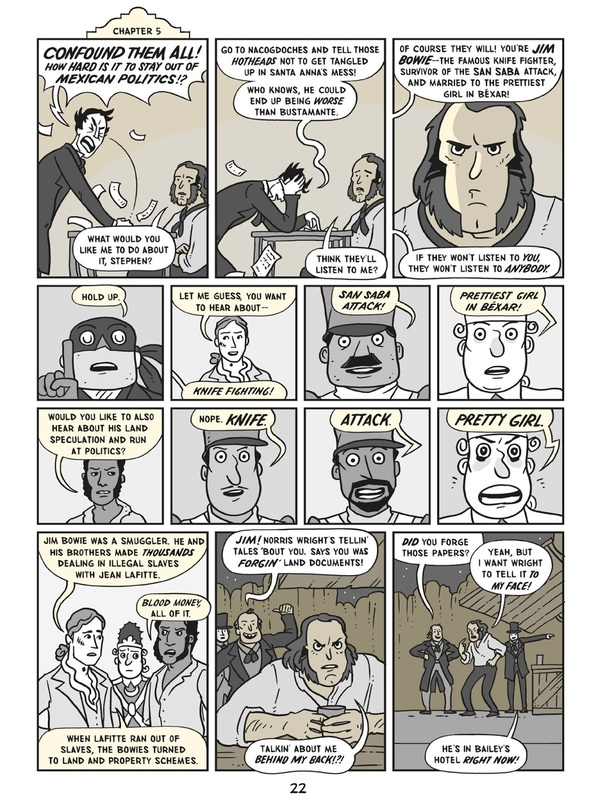 The Comics Alternative's Andy Kunka praised "Hale’s ability to put forward a complicated geopolitical conflict in ways that are engaging and even, at times, gently humorous." Esther Keller concluded, "Give this to readers who are fans of the series, to that reader who loves history, or any graphic novel fan. This book will surely be a hit." Alamo All Stars was published by Amulet Books, and they have a preview, video, and more info here.